Once again I am joined Skype machine with Tim Hall, The People’s Critic! 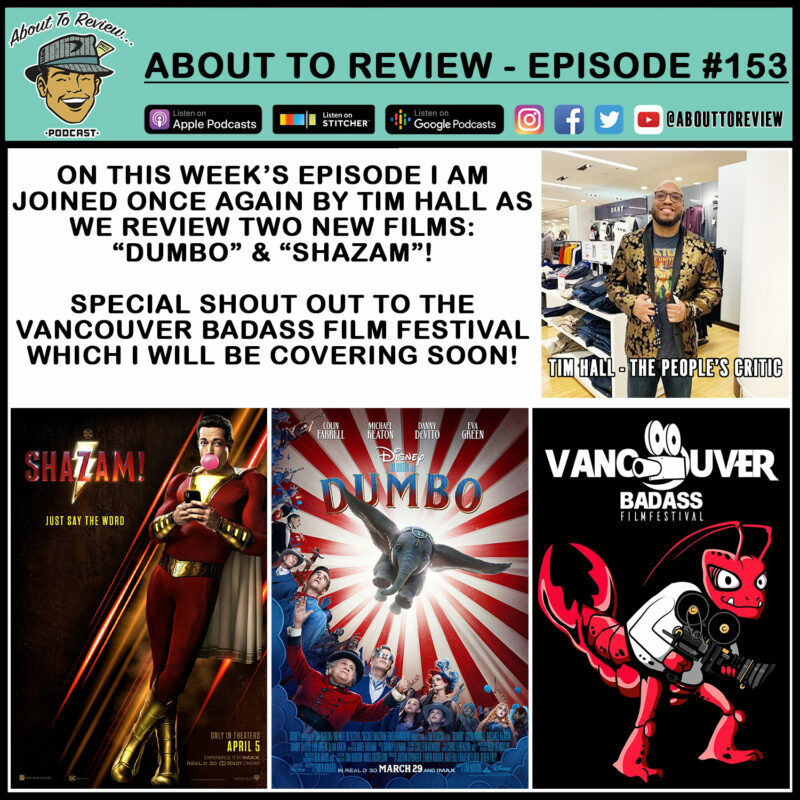 We review two new films, “Dumbo” and “Shazam”, and then I give a preview of the upcoming Vancouver Badass Film Festival which I will be attending! Sponsor shout out! 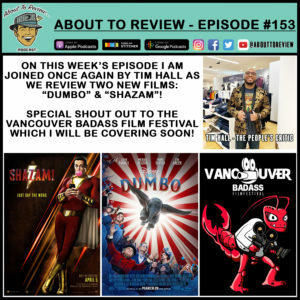 The 5th Vancouver Badass Film Festival (VBAFF) will be running from March 29-31st and I will be covering the event thanks to David Aboussafy co-creator of the VBAFF and his two companies who are sponsoring my trip! Darkside Releasing Vancouver BC based international distribution company specializing in wild genre films. Darkside Releasing. Wild. Genre. Films.